Looking for A Small Orange promo codes and coupons? #MasterTheWeb and save money today with our exclusive The Webmaster offers. This is our Standard Discount Code which gives 15% off the first VPS Hosting invoice, so sign up for longer for more savings. This is our Standard A Small Orange Offer which gives 15% off the first Reseller hosting invoice, so sign up for longer for more savings. To use the coupons just click the required A Small Orange Promo Code above, and it will copy the code to your clipboard, and take you to their website. At the checkout, right click in the coupon box and paste the code above. To paste the coupon into the relevant box, you can either do [shift][Ins], or [Ctrl][v] as these will paste the coupon into the appropriate box (see step 5 below). They have a variety of plans including Shared Hosting, Business Hosting, Reseller Hosting, Cloud VPS, Hybrid, and Dedicated Servers. For this tutorial, we will be looking at their Shared Hosting Plan. There are two steps to get to the list of shared plans. First click on “Find your Perfect Plan”. Then click on “Find out More” under the relevant service you require. In this case, we shall look at their Shared Hosting plans. You will see a list of the different Shared Plans. You should note the difference in costs, the number of domains allowed, etc. The next stage is to enter your domain information. We recommend Namecheap or GoDaddy for your domain needs even though a free domain is offered when signing up for 12 months or more. A detailed tutorial showing how to purchase a domain name with these registrars and configure them to work with your hosting account can be found here. If you need help choosing a domain, check out our detailed guide here. 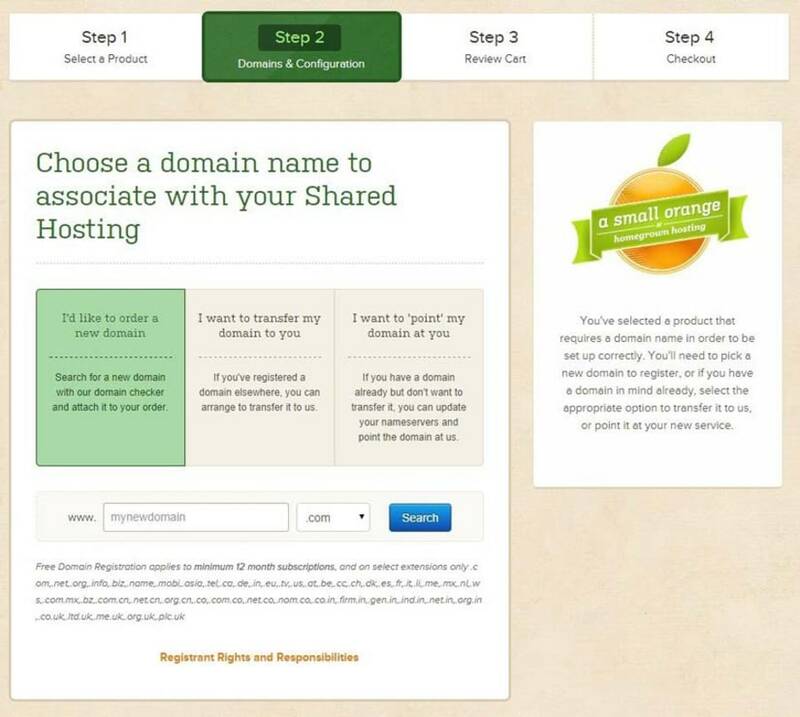 You will see the different options relating to your domain in the screenshot. Please be aware that the Money Back Guarantee does not apply to any domains registered. To order a domain select the “I’d like to order a new domain” option and enter the domain name in the box below. If you choose the latter option, you will get details of the nameservers in the welcome email that will be sent to you once you have completed your order. Choose domain. © The Webmaster. While you will have had the option in Step 2 above to choose either a monthly or annual plan, in the next step you can change the length of your plan to lock in the savings for up to 3 years. By doing this, you will make the most of your A Small Orange coupon code. The 12-month price will show on renewals as well as new orders. Configure your shared hosting plan and add-ons © The Webmaster. The most important part is to enter one of the A Small Orange Promo Codes at the checkout to ensure you get maximum savings. Type the coupon details in the box shown, and click “validate code.” If you had clicked on the Coupon above, it would have automatically copied the Coupon Code to the clipboard, so all you need to do is click in the box and press [shift][Ins], or [Ctrl][v], or in your browser menu select  and then [paste]. Review Cart & Enter your Coupon © The Webmaster. Arrange payment for your services. In our experience, you will get an immediate email confirming the purchase, and within an hour or two, you will receive details of your hosting account although in many cases it will be much quicker. There is no option to pay monthly for their Tiny Plan, due to its low cost. For all other plans, you can pay monthly, but you may wish to consider signing up for a year or more to get a free domain and 17 percent off the price of your hosting. Combined with our A Small Orange Coupon, this makes for some significant savings. What other billing cycles does A Small Orange offer? A Small Orange offers monthly, 12 monthly, two-yearly and three-yearly billing cycles. 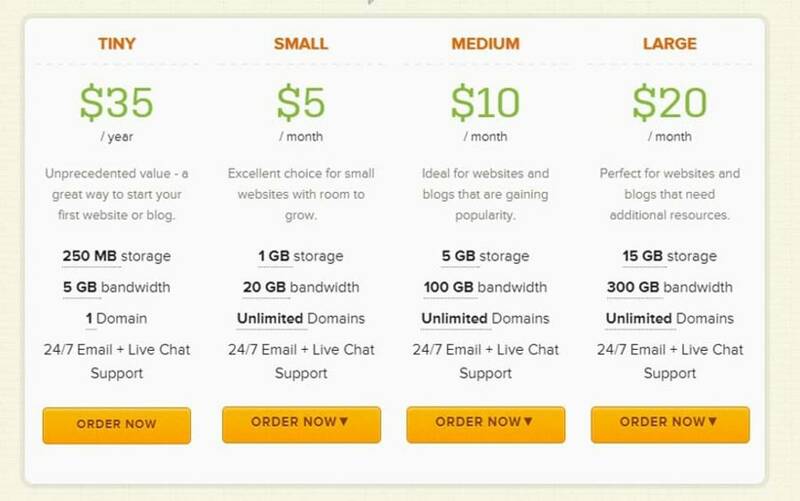 Does A Small Orange offer a Free domain? A free domain is offered with all hosting plans when you sign up for a year or more. However, this includes only the most common domain extensions such as .com, .net, .org, .uk, .us, .biz or .info. Other domain extensions are available but at an additional cost. If you exercise the right to refund, any free domain will be charged for at the prevailing rates (i.e., deducted from the refund). A Small Orange accepts payments via PayPal or by Visa or MasterCard credit \ debit cards. According to their website, they do accept PayPal. A Small Orange offers a 90-day money back guarantee for their shared, reseller and VPS hosting plans. The guarantee only covers the cost of the hosting, and all add-ons \ third party services (including free domains) are specifically excluded. Also, cloud VPS and dedicated plans are specifically excluded. You can read the full money back guarantee terms and conditions of Clause 6 here. Will the price increase upon renewal? Yes, the cost of hosting will go up once you renew. The initial discount offered by our A Small Orange coupons only applies to the first invoice. 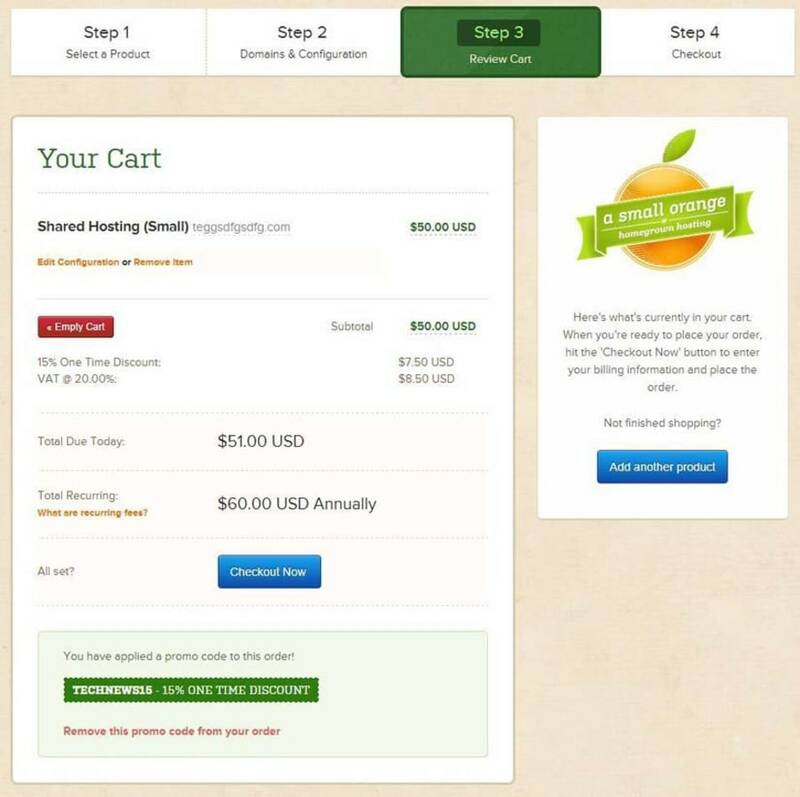 Do A Small Orange plans come with cPanel hosting control? All plans come with the cPanel control panel, with the sole exception of their lowest cost VPS plan. There is a 99 percent uptime guarantee. 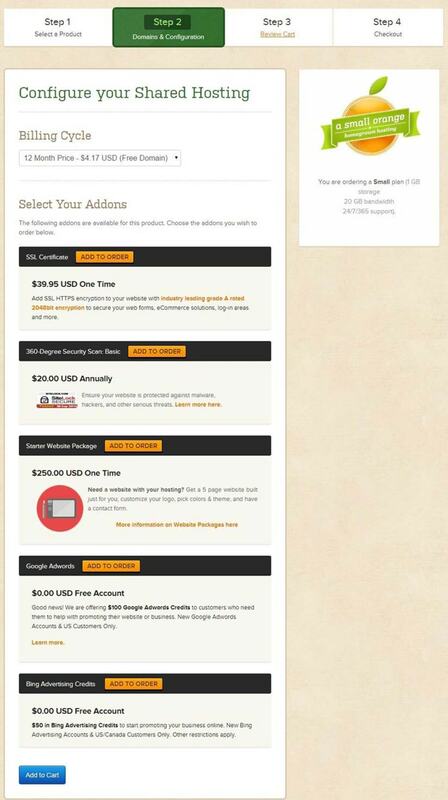 This guarantee is much lower than what many other web hosting providers offer. 99 percent allows up to seven hours 18 minutes of downtime a month. A 99.9 uptime guarantee, on the other hand, permits only 44 minutes per month. Does A Small Orange provide any other services? Yes, A Small Orange is known for offering web design, and they also provide some SEO services. Having seen their portfolio, you may wish to consider using an alternative company.